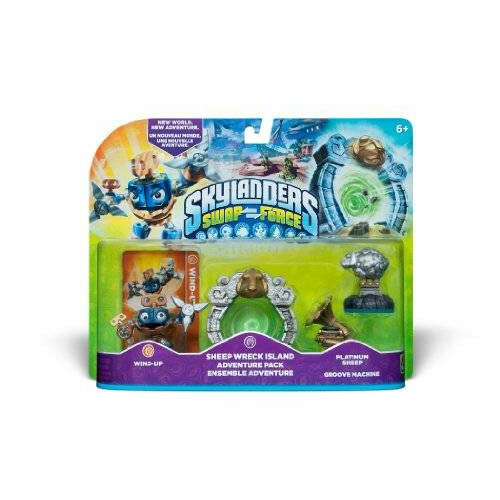 These Skylanders SWAP Force character's require the Portal of Power (included in the SWAP Force Starter Pack) to be used in-game. Expand your gameplay experience with the Skylanders SWAP Force Adventure Packs. Explore a new world with new challenges and enemies conquer. 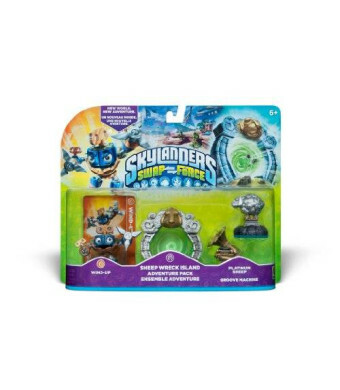 This Adventure Pack, includes the Tower of Time Adventure Figure, the new Pop Thorn Skylander and the Battle Hammer and Sky Diamond Magic Power figures.Build the ultimate collection of Skylanders over 55 Skylanders to collect! Each Skylander has their own unique powers and abilities to enhance your game play experience and save Skylands.Adventure Pack includes: 1-Adventure Figure, 1-Skylander Figure, 2-Magic Power Figures, 4-Trading Cards, 4- Sticker Sheets with secret codes.